We received the Maryland Archives’ official copy of the “Returns of the Deputy Commissary of Charles County,” 19 April 1706. We previously explained that Cornelius was described as a “pauper” in this record of the bond posted for the administration of his estate. Well it turns out that the “pauper” description is a clerical error. In the original, the word can be seen abbreviated in the margin next to Cornelius’ entry. In contrast, some adjacent entries for other deceased men are annotated with the word “inventory” in the margin. It looks like a reviewer of the record somehow overlooked Cornelius’ (extensive) inventory, which was conducted on 9 March 1706. A scan of the archival copy is below. 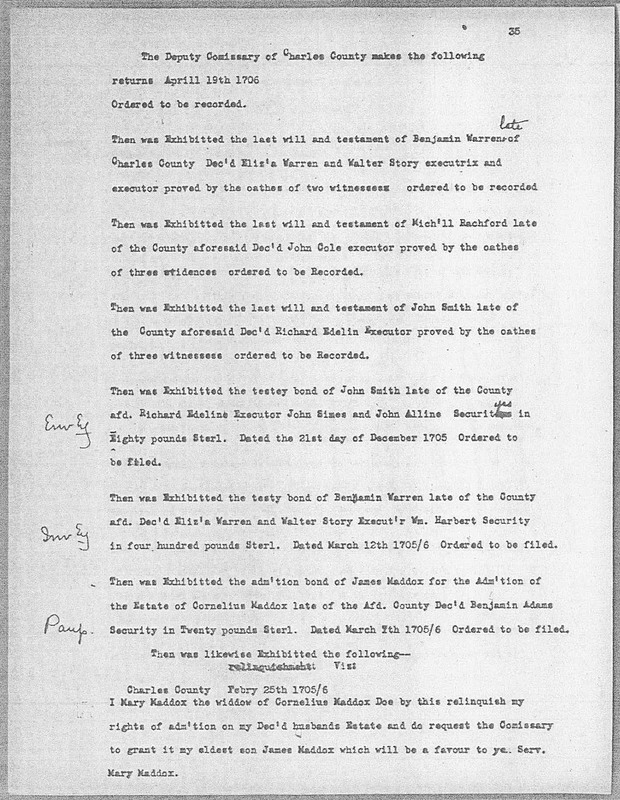 As a silver lining, this document proves that James Maddox was the first son of Cornelius Maddox – a question for some other researchers. It also provides further proof of Mary Smallwood’s marriage to Cornelius. 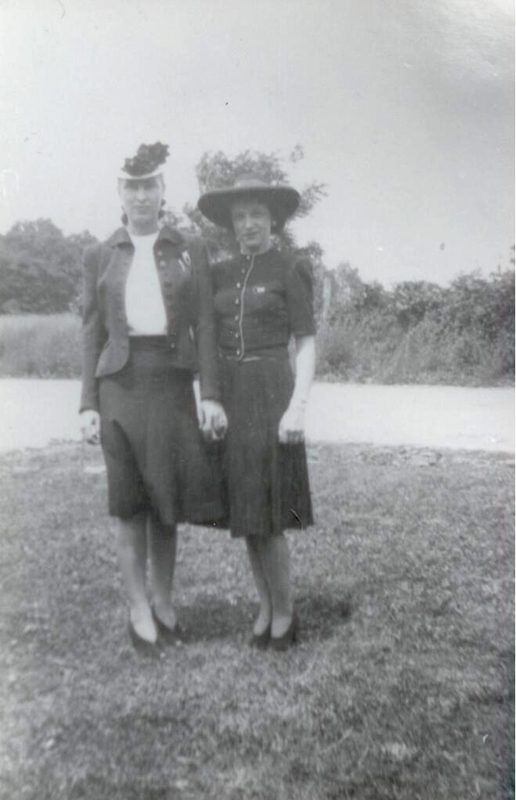 Diane Irene Maddox and Suzie Maddox decked out on John Napoleon’s farm. 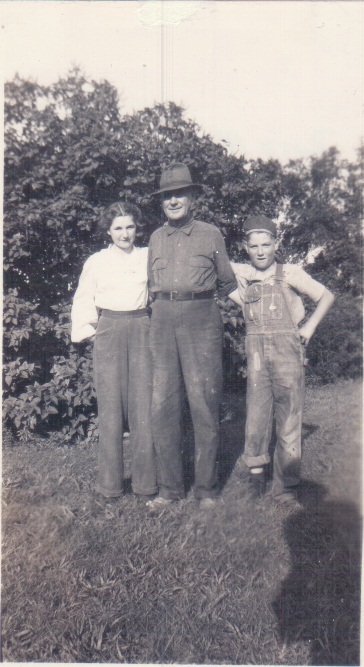 Viola, John Napoleon and John William Maddox on the farm. 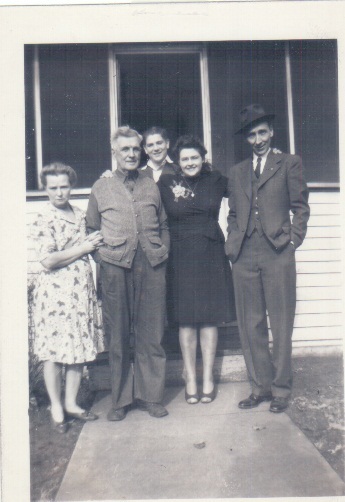 John Napoleon and Mattie Maddox with their son John and John Napoleon’s son, Roy, and his wife Suzie (wearing the flower). An intriguing new internet find… the http://www.drwilliams.org/genealogy/2/30609.htm site page, which claims a link back in time from Cornelius Maddox to Edward Maddox to Thomas Maddox, and then even further back to a lord in Wales. These are links we’ve struggled with for years. The goal of our research is less about our European origins than it is about our American heritage, but the drwilliams.org claim makes us wonder. We’ve asked him for the sources of his claims.